Economic self-determination failed to accompany social revolution and now the consequences are apparent, writes Fabian Di Lizia. Over the past few weeks, the world platinum market has skyrocketed, with prices momentarily exceeding those of gold. One of the largest platinum mines in the world, Lonmin’s Marikana operation just outside Johannesburg, has virtually ceased production. The Lonmin operation was crippled by strikes that have seen only 5 per cent of workers turn up at work. Violence at the strikes exploded after police fired on strikers. 34 workers and 10 policemen have consequently died. 78 were injured. Most mainstream media commentary has highlighted how the violence has been the worst since the country’s terrible apartheid era, or has sought to play the blame game. However, most commentators have failed to highlight how the strikes represent a deeper issue that has plagued South Africa pre and post-apartheid, one that the African National Congress has failed to address. The nation still has a rampant monkey on its back: its failure to achieve economic self-determination. The anti-apartheid movement was triumphant in gaining political and civil rights. Blacks and whites alike have political self-determination. But also part of true freedom is economic self-determination, and a few key post-apartheid economic decisions by the ANC failed to achieve this for South Africa. The list of “shots in the foot” by the ANC is extensive. The constitution that was broken contained a protection of private property, prohibiting redistribution of land to poor South Africans. The ANC signed on to the General Agreement on Tariffs and Trade (GATT), which forbade support of local industries and factories – hence governments could not create jobs. The ANC signed the World Trade Organization’s intellectual property agreement, which forbade South Africa from copying formulae for AIDS drugs. Such medications, owned and patented by Western pharmaceutical firms, are too expensive for poor South Africans dying from the disease. When Thabo Mbeki came to power in 1999 he engineered a quasi-neoliberal revolution. The ANC was bound to austerity policies in order to service a massive debt inherited from de Klerk. While business was set up in the country, little devotion was given to constructing housing. The ANC also signed a deal with the World Bank to service the national debt, however this required “wage restraint”, preventing rises in the minimum wage. Thus modern South Africa evolved to be one of the most unequal societies in the world. Inevitably, when the gloss of political self-determination wears off, people want to be able to have economic self-determination. These inadequacies have come to the fore with the violence over the past few days. Workers at Lonmin have called for a wage rise, demanding an increase of 200 per cent to 12,500 rand (US$1486) per month. Many of the workers live in a rickety township nearby, with no electricity or water in their homes. South Africa finds itself at a crossroads. 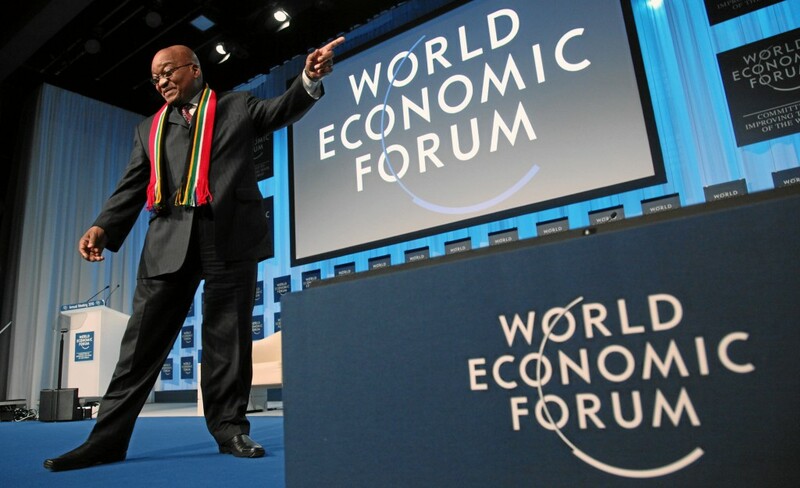 A debate about economic direction was had at the ANC conference earlier this year, with some serious calls for President Jacob Zuma to rid the nation of the “neoliberal straightjacket” that favours business but is fuelling inequality. It would take a brave leader to structurally reform the nation, especially with mining giants threatening to withdraw investment the moment change is mentioned. However, the ANC has let down its people in recent years, with slush funds, corruption charges, and perennial bad governance dogging the party. Zuma has the chance to radically change his image from a shady character to a true leader of Mandela’s class. It will take much resolve and bravery to push for change, but it may be the only opportunity the nation has to avoid a relapse into the violence and division of the apartheid era.